Why is British law on assisted suicide ‘inadequate and incoherent’? 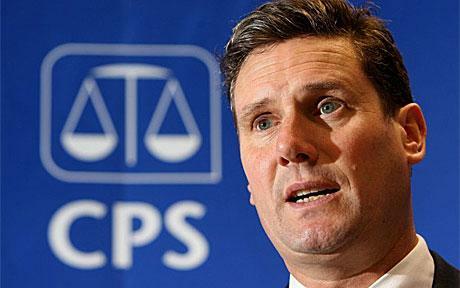 Director of Public Prosecutions (DPP) Kier Starmer. Copyright (c) Press Association. The Commission on Assisted Dying (COAD) published its report this month, recommending ‘providing the choice of assisted dying for terminally ill people.’ The report’s proposed changes focus specifically and exclusively upon ‘terminal illness’. David Cameron indicated prior to the report’s publication that he would resist changes in the law, already noted by Jules Evans on this blog. The present operation of the law was influenced by the success of Debbie Purdy’s campaign in 2010 to get the Director of Public Prosecutions (DPP) [Kier Starmer, pictured] to lay out the factors that might contribute to a prosecution for ‘assisted suicide’ being pursued ‘in the public interest’, and those in which the DPP would ‘exercise discretion’ and not prosecute, without changing the law. This situation is labelled ‘inadequate and incoherent’ by COAD. If legal incoherence is the key to reform, it is vital to understand the history of such a disorganised situation. This is achieved through clause 2(1) which created the offence of ‘aiding, abetting, counselling or procuring the suicide of another’. Concerns around the potential culpability of supposed ‘suicide pact’ survivors – which came to prominence around the Homicide Act (1957) – were key in the creation of the law now contested in very different circumstances by COAD. A concern about the right (psychiatric) care of those who survived ‘suicide attempts’ led to the creation of an offence specifically to limit the knock-on effects of decriminalisation and to make this ‘retraction’ of the law relate as precisely as possible to ‘attempted suicide’. The offence corresponds to a debate far removed from the current one around ‘terminal illness’. The concern of section 2(1) about undue ‘influence’ when assisting suicide is one of the only current resonances even though, in 1961, it aimed to protect minors, rather than the terminally ill. If the law is to work consistently, it must correspond more closely to the changing types of behaviour and debates that it is supposed to regulate. Historical understanding of the current ‘incoherence’ adds another voice to the call for change. This entry was posted in Emotional Currents, General and tagged attempted sucide, Commission on Assisted Dying, David Cameron, Debbie Purdy, Harold Macmillan, Kier Starmer, Richard Austen Butler, suicide by Chris Millard. Bookmark the permalink.